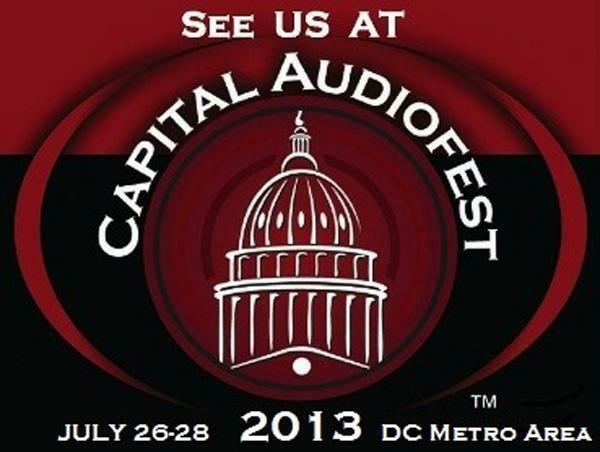 With AXPONA's shift to Chicago, the Capital Audiofest has become the only high quality audio show on the East Coast south of New York City. 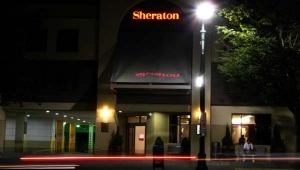 Taking place July 2628, CAF has relocated to the newly remodeled Sheraton Silver Spring Hotel, a superior and eminently accessible venue that has double the number of large exhibit rooms as last year's Crowne Plaza in Rockville, MD. Located inside the Beltway, just three blocks from the Metro line, CAF will take place just 1 mile from the DC city limits. With 44 exhibit spaces booked as of July 17, many of which will display major brands, show organizer Gary Gill is optimistic that attendance will far exceed last year's under-1000 estimate. "My fantasy is 15002000," he reports. "Between website traffic, headphone meet-ups, social media connections, ads in publications, and the networking I've done at other shows, I think I can get there." 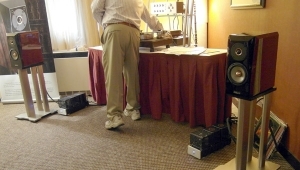 Helping entice seasoned audiophiles to the revitalized Silver Spring area is the hotel's layout. There is one large stand-alone ballroom devoted to vendors of all kinds, with an adjacent room devoted to guest speakers. All other meeting rooms are newly renovated and soundproofed. Even MBL and SVS, the only two vendors in large rooms with air walls, will find their spaces completely isolated sonically from others, with virtually no bleed-through. If the large exhibit spaces are as good as Gill suggests, they will make attendees and exhibitors alike very, very happy. The majority of exhibitors will occupy hotel room suites on the higher floors. Between every hotel exhibit room lays an attached sleeping room that will serve as a sound insulator. Gill also reports that since the slightly pear-shaped hotel's outer wall is curved, there are no parallel walls in any of the suites. With dimensions 13' wide at the near end, and 23' wider at the far end, this translates into less risk of standing waves. As long as vendors are respectful of the people across the hall, and don't blast their music into the hallway, this should be a show where quiet attendees can actually listen to good sound to their heart's content. Exhibitors will also be buoyed by the quality and spirit of attendees. "I'm hoping that people will discover the DC market, with great demographics and a great location," says Gill. "We have some of the highest per capita income in the nation." In response to my question, what else is unique about the Capital Audiofest, Gill replies, "I guess the show is an extension of me. Part of me is DIY, in that my system as well as of many of my friends' incorporates both new and vintage products. In addition, as a musicianI play trombone, sometimes professionally, and have had lots of fun playing with John Atkinson and Steve Davis at showsI'm involved with several groups of jazz musicians from the DC/Baltimore area who will play throughout the weekend in the lobby. 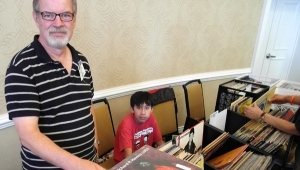 Two local music retailers, Mapleshade and Cuneiform, with also be displaying software rich in jazz improv and avant-garde explorations." Did you hear DIY and vintage? While a perceived overabundance of exactly that is what JA bemoaned at last year's CAF, Gary counters that there will only be three or four rooms out of 44 devoted to DIY. Yes, products in some rooms will take advantage of older technologies, e.g. horns, but most rooms will exhibit new gear. The list of exhibitors is impressive. 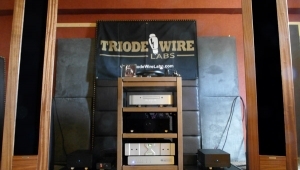 With participation of perhaps 50% of local retailers, plus several journeying from other metro locations (most notably The Voice That Is from PA and High Water Sound from NY), attendees can look forward to products from Tidal, Audio Power Labs, Bricasti, SMC Audio, Aurender, StillPoints, Purist, Daedalus, ModWright Instruments, WyWires, Atma-Sphere, Tri-Planar, Stahltek, Clearaudio, United Home Audio, Volti, Mytek, Monitor Audio, IQ Home Entertainment, Raidho, VPI, Joseph Audio . . . I'll leave it to you to click the exhibitor link and see the rest, including the aforementioned MBL and SVS. Remember that not all brands are shown; a distributor such as Fidelis AV will pack along any number of luscious brands into their exhibit. In the workshop / seminar arena, you can look forward to presentations from Arf Mastering's Alan Silverman, who has earned two Grammy nominations for Album of the Year, and worked on releases from such notables as Norah Jones, Chaka Khan, Judy Collins, Jane Monheit, Dolly Parton, Bebo Valdes, and Keith Richards; AIX Records' Mark Waldrep; and AudioXpress/DC Audio DIY group contributor Thomas Perazella. To balance out the seriousness of it all, expect some happening after- hours exhibitor parties to open their doors to the public. The admission fee is quite reasonable, and all students with ID can attend for free. Gill is especially hopeful that the headphone exhibits will draw lots of young, budding audiophiles. "I think, right now, the headphone market is the gateway drug into our hobby," he says. "I've been to a couple of these headphone meets, and it was like the old days when you hang with your friends and swap things in and out and try new things. It's much easier to plug headphones in and out than change loudspeakers or amps. You can really see the excitement as people try Stax vs Sennheiser vs Audeze. This is why we have several more headphone folks than last year, including Wu Audio and Stereo Desk." 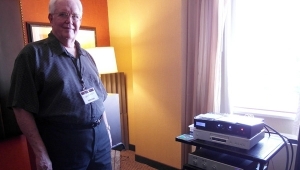 Look forward to comprehensive, room-by-room show reports on this site, with posting starting on Saturday Art Dudley will be doing the honors for Stereophile.